Originally built in the 13th Century and added to in the 14th and 16th Century, now standing in ruins within beautiful gardens. With an Inn where you can stop for lunch or dinner, a village green and children’s park for picnics and the stunning St. Mary’s Kirk, you could easily while away the day in this quaint East Lothian village. Various shops and curios, a lovely adventure playground for the children, and an Archery school where you can book a lesson. Set in the beautiful East Lothian Coastline is the areas premier trout fishery. Comprising 3 lochans, the Markle, Monastery and Kin totalling 10 acres. All ages and experience welcome. Fresh bait and rod hire available. Toilets, refreshments and tackle shop on-site. Head off on a journey of discovery at the former airfield. Explore the history of aviation from the First World War to the present day. Two transformed hangars filled with amazing aircraft with interactive exhibitions, supersonic experiences and acres of green grass and fresh air. you can explore the site on foot or jump aboard the Airfield Explorer and discover one of Europe’s best collections of aircraft. North Berwick law is a conical hill which rises conspicuously from the surrounding landscape. Make it to the top and you’ll be rewarded with spectacular views of North Berwick and the surrounding countryside, and with the ruins of a signal station built in 1803 also there, there’s more than just scenery to climb for. Within walking distance of the Park, the sports centre is an ideal bolt hole for a rainy day. With usual facilities including gym and sauna, relaxing after a hard days sightseeing is made easy. Control the interactive live cameras to zoom in on the amazing wildlife on the islands including the Bass Rock and Isle of May. Bass Rock is the world’s largest colony of Northern gannets and BBC Countryfile Magazine’s Nature Reserve of the Year 2014/2015 and 2015/2016. The Isle of May is the biggest puffin colony on the East coast of Britain. Gift shop and Seabird Café, with East Lothian’s only seaside sun deck. Also seasonal boat trips, including the Forth Ferry to Anstruther. 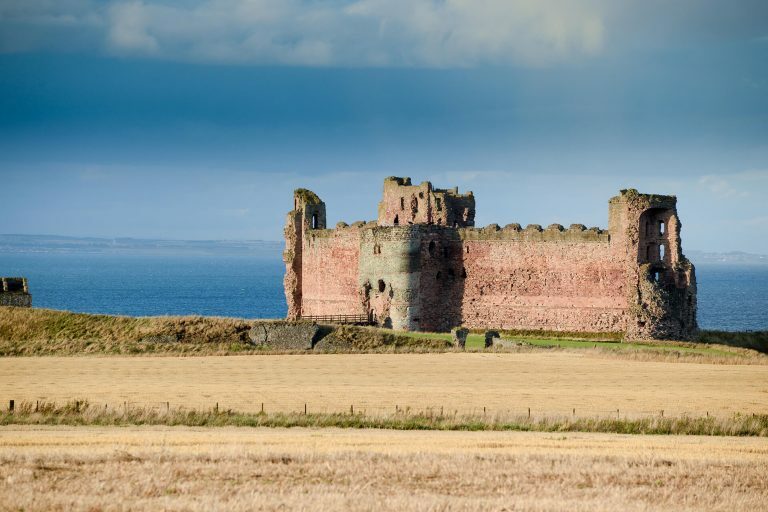 Which is only a short distance from our park, sits atop a cliff overlooking the Bass Rock and dates back to 1358.While the castle stands partially in ruin, you can still climb to the top of the battlements or go down into the dungeons. 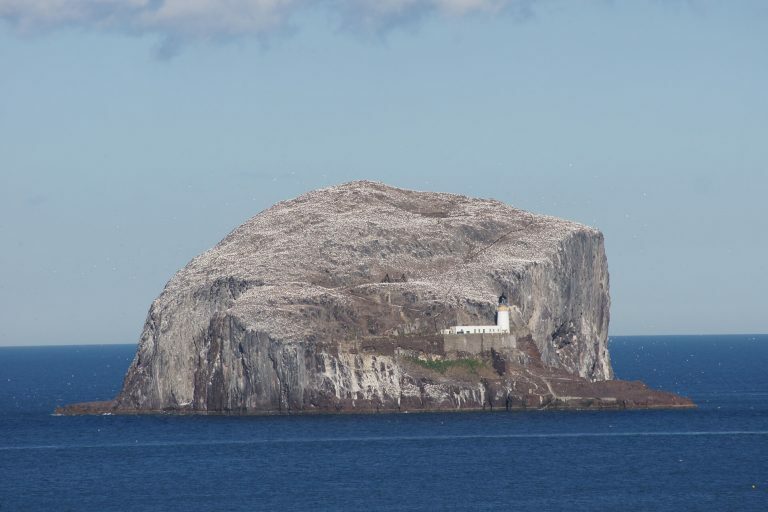 Boat trips around the Bass Rock & Craigleith can be arranged. Get closer to the rock’s inhabitants by arranging an island cruise. Telephone 01620 880770 for more information on cost and to reserve your seat!